Pattern vs. Print: What's the Difference? The terms pattern and print are often used interchangeably and to be frank, incorrectly, by industry professionals and fabric enthusiasts. We hear it all of the time. It is important to use the appropriate term when you're referring to a particular fabric because the terms pattern and print do not mean the same thing. Let's take a look at the differences to clear up any confusion. 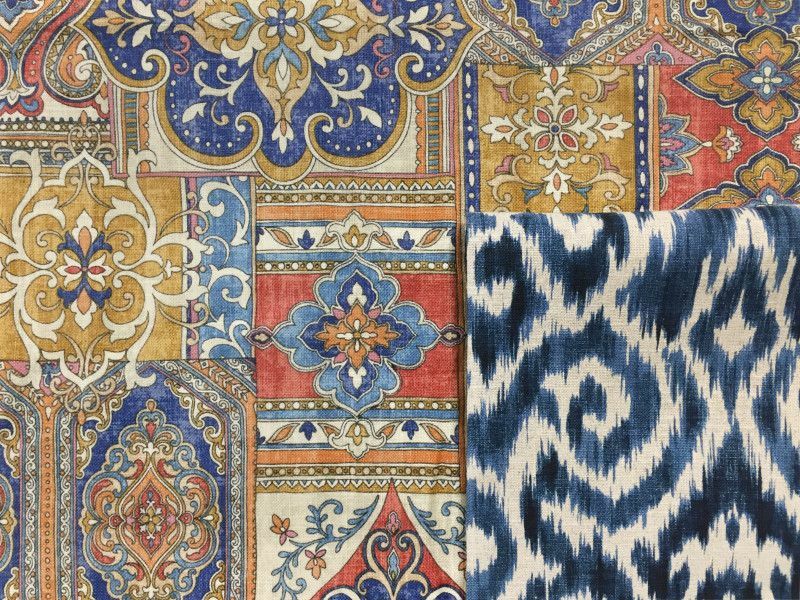 A pattern is any repeated design, such as a floral, geometric, lattice, medallion, and stripe etc. It can be woven into a fabric, embroidered or printed on top. Above you will see a couple examples of patterns. These fabrics are not prints. The floral pattern, for example, is embroidered onto a base cloth and the greek key pattern is actually created by the weave of the yarn. The patterns are printed onto a greige/base cloth. If you are still unsure, try flipping the fabric over and looking at the back side. If you can no longer see the pattern, it is probably a print. See. 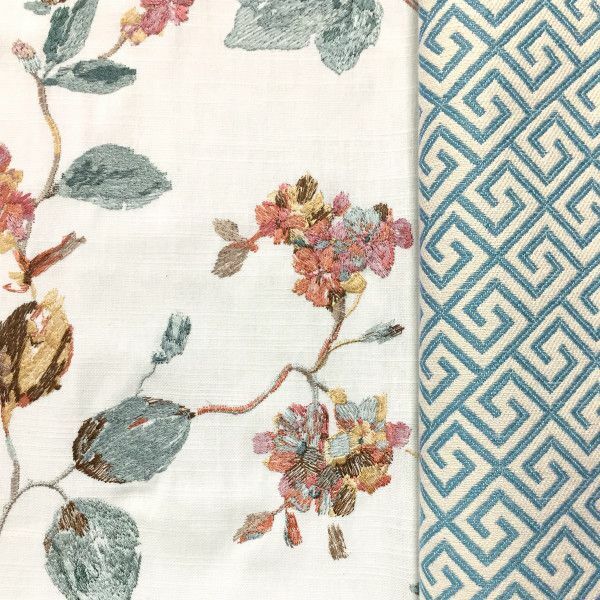 The fabrics shown here are ALL patterns, but only one of them is a print! Can you guess which one? If you chose C you are correct! Although C is a pattern. It is a printed pattern on top of 100% cotton ground. 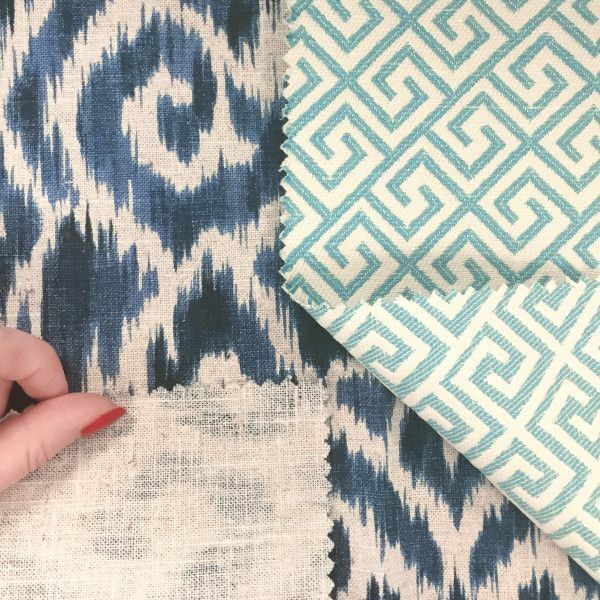 When in doubt, refer to fabrics with a design as a pattern, because ALL prints are patterns, but not all patterns are prints! Visit www.greenhousefabrics.com to shop for thousands of gorgeous patterns and prints.